British writer GILBERT KEITH CHESTERTON (1874-1936) expounded prolifically about his wide-ranging philosophies-he is impossible to categorize as "liberal" or "conservative," for instance-across a wide variety of avenues: he was an arts critic, historian, playwright, novelist, columnist, and poet. 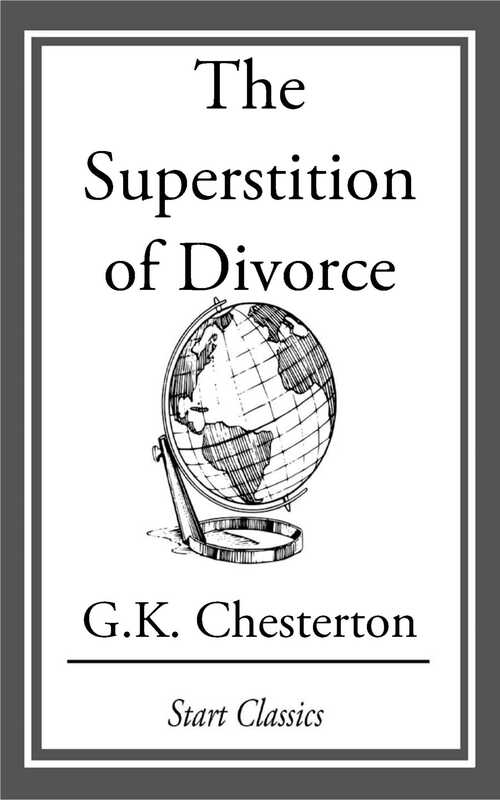 His witty, humorous style earned him the title of the "prince of paradox," and his works-80 books and nearly 4,000 essays-remain among the most beloved in the English language.Almost a century ago, Chesteron wrote a series of articles-collected in this replica 1920 volume-decrying the rise in divorce and exploring, from a sociological standpoint, the impact he believed it would have on Western civilization. His conclusions are seen by some as prophetic, but whether one agrees with his cynical stance or not, this is a fascinating work of modern cultural criticism.